This Tuesday marked the launch of the Global Commission on Adaptation, an environmental initiative led by Bill Gates, former U.N. Secretary-General Ban Ki-moon and World Bank CEO Kristalina Georgieva. The Commission’s 17 convening countries and 28 commissioners, managed by the Global Center on Adaptation and the World Resources Institute, will aim for global-scale adaptive solutions. 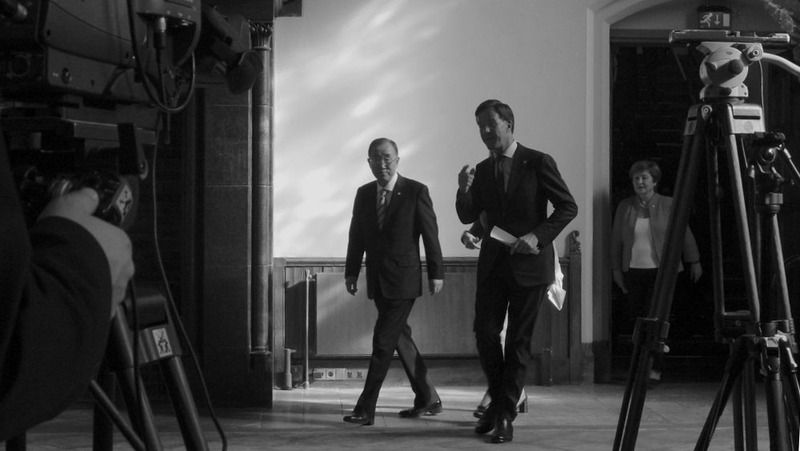 World leaders and stakeholders gathered at the Ridderzaal in The Hague, Netherlands, for the Commission’s opening ceremony. Speakers cited last week’s IPCC report, which warned of catastrophic climate change as soon as 2030, as a call to action. Their talks emphasized what’s at stake with warming temperatures: Climate change could force 100 million people into “extreme poverty” by 2030, Georgieva said. Even if countries meet the Paris Accord goal and maintain a global temperature rise below 2 degrees Celsius, Ban said, climate change will continue to escalate. Commissioners and national leaders stressed the role of finance as climate change threatens the world’s natural resources. Adaptive development is a “good economic action,” said Kristalina Georgieva, providing a financial return four to seven times higher than business as usual with the prevented damages. The Commission will work to transform “food security and rural livelihoods, global supply chains, cities, infrastructure, finance, social protection and nature-based solutions,” according to a press release. A nation battling intense cyclones, Bangladesh was the first country to institute a Climate Change Trust Fund. The fund has collected more than $400 million since its founding in 2010, Prime Minister Sheikh Hasina said. The global cost of adapting to climate change could reach $500 billion per year by 2050, Ban said. Water scarcity in Africa and the Middle East will cause a nearly 6% decline in an affected country’s GDP, he added. Netherlands Prime Minister Mark Rutte said the scope of the Global Commission on Adaptation is “unprecedented.” Still, leaders urged the rest of the world to take responsibility. Former Chilean President Michelle Bachelet hopes the Commission will invite new actors to be part of the wide-ranging solution. “Every country should engage now to reduce emissions of and stabilize the levels of heat-trapping greenhouse gases in the atmosphere,” Bachelet said. The United States is noticeably absent from the list of convening countries, which include its economic partners and bordering nations. In 2017, the Trump Administration announced the country’s impending departure from the Paris Agreement. The President recently modified his views on climate change, stating the damages will eventually reverse themselves. Speakers also reiterated the need for localized solutions in the fight against climate change. “Adaptation efforts fall short of those who need them most, the world’s poorest and most vulnerable people,” according to a Commission press release. Philippines Senator Loren Legarda spoke on the disparate power dynamic created by climate change. Globally, the Philippines is the third-most susceptible to climate change, she said, yet the country contributes only one-third of one percent of harmful emissions. Bill Gates spoke via video message on the agricultural shortages faced by developing countries as temperatures rise. He said innovative technologies, such as enhanced seeds, are the key to adaptation. Gates also mentioned his fund Breakthrough Energy Ventures, which works to make clean energy globally accessible. The Commission will prepare a report for the U.N. Secretary-General’s 2019 Climate Summit, said Netherlands Minister of Infrastructure and Water Management Cora van Nieuwenhuizen. The Netherlands will host the Commission’s first Climate Adaptation Action Summit in 2020. Georgieva pointed to water management in the Netherlands as a past example of human adaptation. Now, she said, climate change demands a greater scope, scale, and speed of action. “We are the last generation that can alter its course and we are the first generation that has to live with its consequences,” she said. When asked in a press conference about the consequences of inaction, Ban said the world has witnessed “a decrease in political will” since the Paris Accord. He asserted that the Commission will work with leaders across the public and private sector, as well as civil society, to combat climate change.